The counting of votes at Naxxar counting centre has ended, with all 65 elected candidates now known. Some unsuccessful candidates still have a shot at making it when parties are given additional seats as an adjustment to reflect the number of votes cast. The candidates who came closest to being elected will be allocated a parliamentary seat. It is understood that former Nationalist MPs Carm Mifsud Bonnici and Frederick Azzopardi will be re-elected in this way. Casual elections will then be held, during which candidates elected from two districts give up one of their seats and another MP is elected on the basis of second preference votes. Fourteen MPs were elected from the 13 districts on the first count: seven Labour and seven Nationalist. Joseph Muscat (PL) and Simon Busuttil (PN) were both elected from two districts, as was to be expected. In the 2013 election, 12 MPs were elected on the first count. The Prime Minister garnered 27,540 votes from two districts, while Simon Busuttil got 20,655. In 2013, Dr Muscat had won 26,170 votes, while Dr Busuttil - not yet party leader at the time - got 14,440. MPs who get more than the quota for that district are elected on the first count. In 2013, 12 of the 65 seats were filled on the first count: Joseph Muscat, Anton Refalo, Louis Grech, Owen Bonnici, Karmenu Vella, Marie Louise Coleiro-Preca for the Labour Party, and Lawrence Gonzi, Simon Busuttil, Beppe Fenech Adami, George Pullicino, Tonio Fenech and Giovanna Debono for the Nationalist Party. The painful part of the process is transferring excess votes once a candidate has been elected. 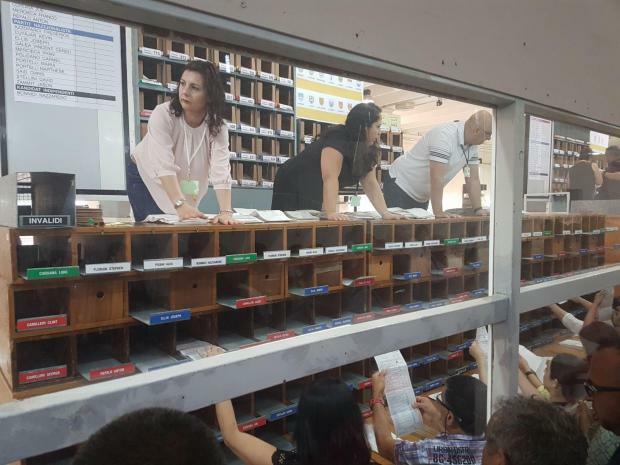 These are manually transferred and then, on each count, the candidate with the least votes is dropped and their votes are transferred to the next candidate. With the number of votes transferred at each count going down as each candidate is eliminated from the race, the process becomes painfully slow. This could change in the future as the intention is for ballot papers to be sorted and counting electronically.